We’re dedicated to making your dental treatment as easy, efficient, and comfortable as possible. That means using state-of-the-art 3ShapeTRIOS imaging throughout your treatment. The TRIOS intraoral scanner can be used with all the treatments offered at our practice, from crowns and bridgework to dental implants. 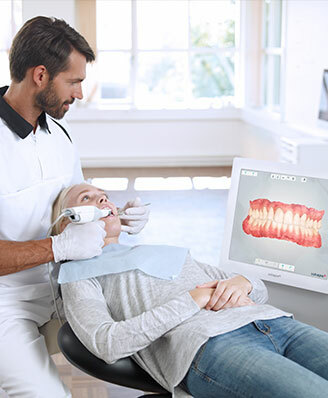 The TRIOS intraoral scanner allows us to have complete control over all aspects of your smile transformation, from your very first appointment to the day your restoration is complete!